The California Department of Public Health has opened an investigation into an escape Thursday evening by a patient at John George Psychiatric Pavilion in San Leandro, state health officials confirmed. Dorian Mulder, 24, escaped at about 6:20 p.m. from the hospital at 2060 Fairmont Drive. 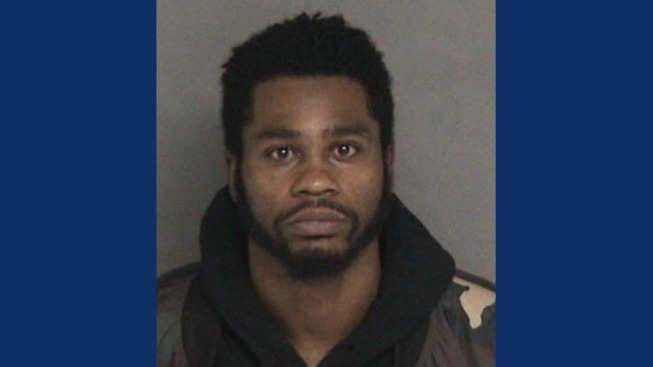 Before he was stopped, Mulder allegedly carjacked one car and tried to carjack another before leading deputies on a foot-chase across Interstate 580, Alameda County sheriff's Sgt. Ray Kelly said. Officials with Alameda Health System, which manages the psychiatric hospital, issued a statement saying, "We regret an incident that occurred on Thursday night, which led to a JGPH patient making an unauthorized departure through a secure gate in a locked patient patio, and subsequently attempting to highjack a car and assaulting a member of the Fairmont Hospital staff." Alameda Health System officials said once hospital staff was made aware of the escape they notified law enforcement. A patient who escaped from a psychiatric facility in San Leandro was back in custody late Thursday after being struck by a vehicle going 65 mph on an East Bay freeway, according to the Alameda County Sheriff's Office. Sergio Quintana reports. "Alameda Health System is taking this incident extremely seriously and is working with local and state authorities while launching a full internal investigation into the circumstances that enabled the patient to leave the premises," according to the statement. Officials are investigating whether a mechanical malfunction allowed Mulder to escape or whether something else allowed Mulder to get out of the gated and secure area. Hospital staff members are now making sure all doors are monitored and securely locked. An investigation by the state department of public health usually involves on-site interviews, observation and a review of medical records and policies at the hospital. The hospital could be fined if the investigation finds that the hospital was in non-compliance and that led to serious injury, harm, impairment or death. When Mulder initially left the hospital, he went to the parking lot of nearby Fairmont Hospital and allegedly got inside a car as a teen boy was in a passenger seat. Mulder allegedly struck the boy and tried to flee in the car but crashed into a garbage truck several hundred feet away, according to Kelly. Mulder got out of the car and allegedly tried to carjack another car with an elderly man inside. Mulder allegedly bit the man to try to get the keys to the car but when he failed he instead ran toward Interstate 580. On I-580 a car struck Mulder, however, he got up and kept running all the way across the highway. Deputies eventually found him hiding in bushes along the highway and arrested him on suspicion of carjacking, kidnapping and felony assault. The victims of the carjacking and attempted carjacking were treated for their injuries. The driver of the car that struck Mulder on Highway 580 was not injured and stopped at the scene. According to Kelly, Mulder had been at the hospital for a psychiatric hold and was not in custody prior to his escape.